I know, I know…the fancy gardening catalogs will try to convince you that you desperately need a compost tumbler and a bunch of other unnecessary gadgets to make compost. Just say no! It’s easy and inexpensive to make compost without any special tools. Remember, the fancy gardening catalogs are in business to make money. Keep in mind that they charge $159 for a seed starting light that you can make yourself for $10! 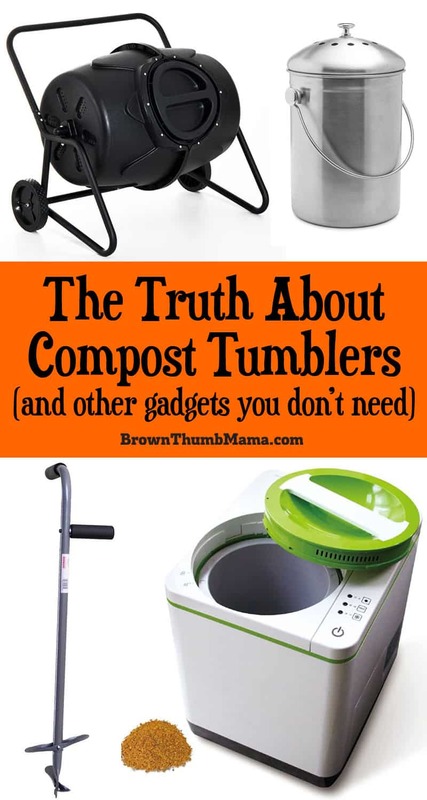 Here’s the truth about compost tumblers and other compost-making gadgets that you don’t need. Some of these are a downright rip-off. The compost tumbler is supposed to “save time and effort” because you put the materials in and then occasionally turn the crank to produce compost. Guess what! The bin isn’t what makes the compost…it’s your ingredients and a little bit of mixing that does the trick. 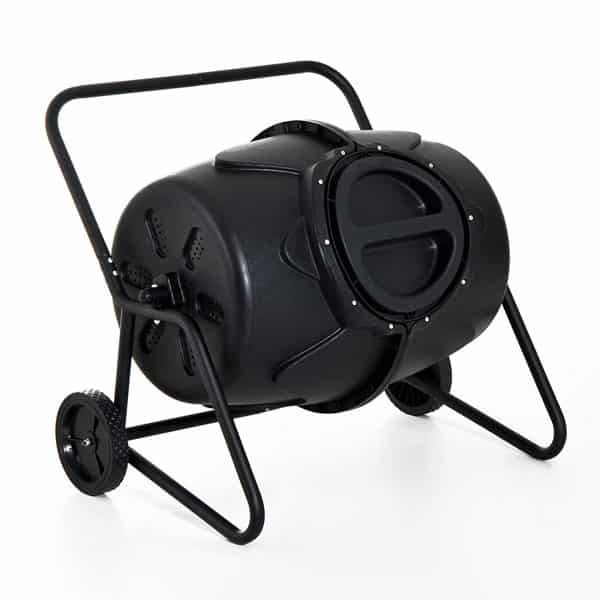 My suggestion: If you simply must have a compost tumbler, lay this 44 gallon trash can on its side and roll it around the backyard. It’s $38.57. 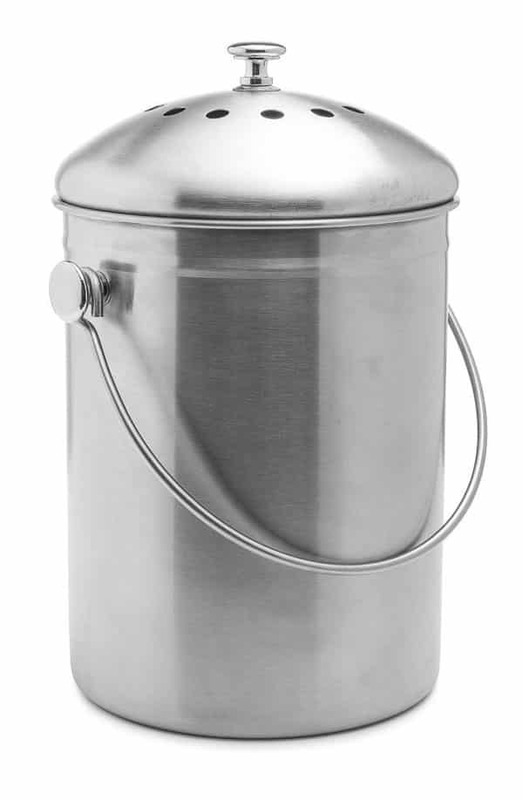 It’s like a tiny, decorative trash can for your kitchen counter…that’s $22.95 (OMG). Some even come with tiny trash bag liners and/or charcoal filters, which just add to the cost. 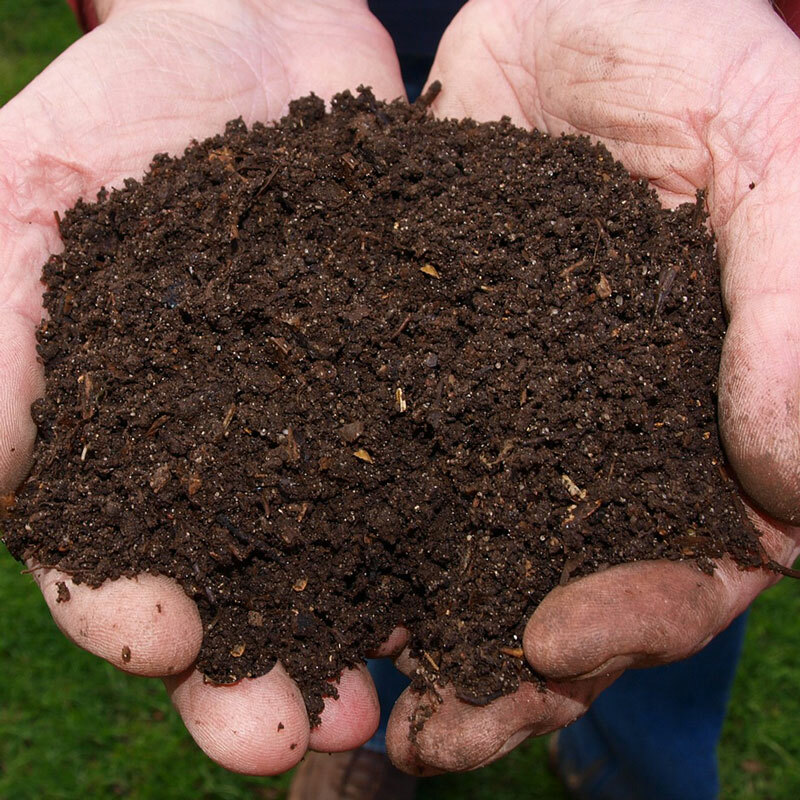 If made properly, compost gets warm because of decomposition and bacterial activity. I am currently too busy/not Type-A enough to monitor the exact temperature of my compost pile. 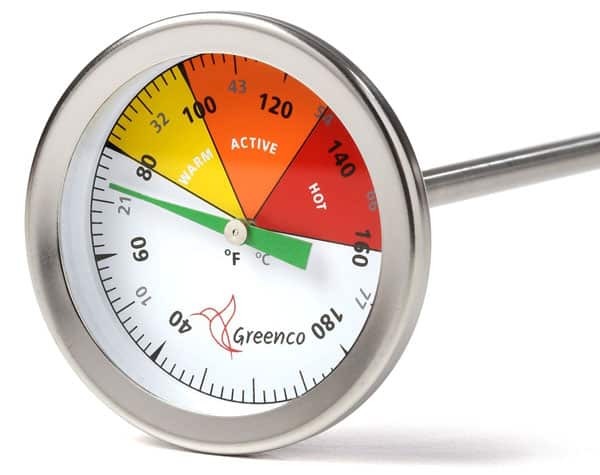 However, if you’re made of money or dead-set on accuracy, you can buy a compost thermometer (yes, really). These are an extraordinary way to separate you from $37.12 of your hard-earned money…take it from someone who has one. 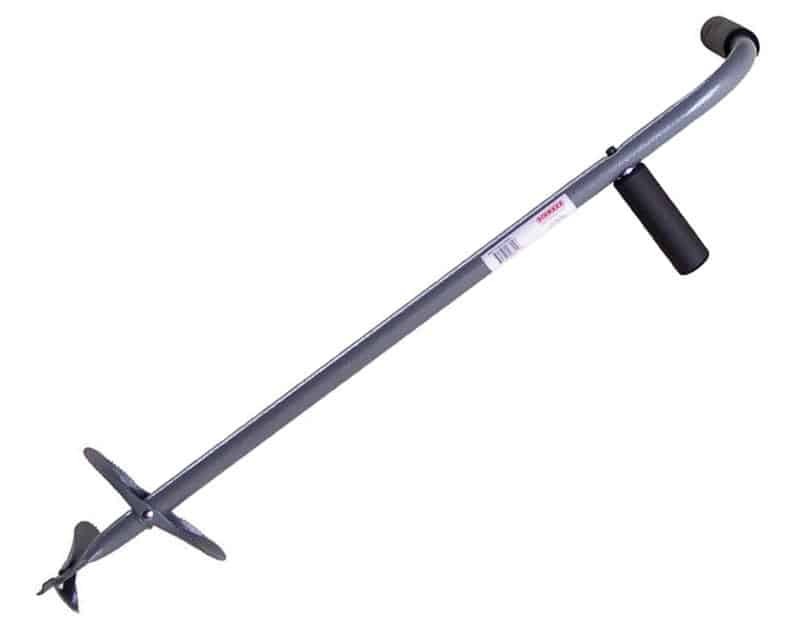 You do not need an overgrown anchor bolt with a handle to stir your compost, which is really all this is. My suggestion: A shovel or pitchfork will do just fine. This is the piece de resistance in unnecessary compost spending. For just $599.99, you can buy an electric gizmo that says it creates compost. 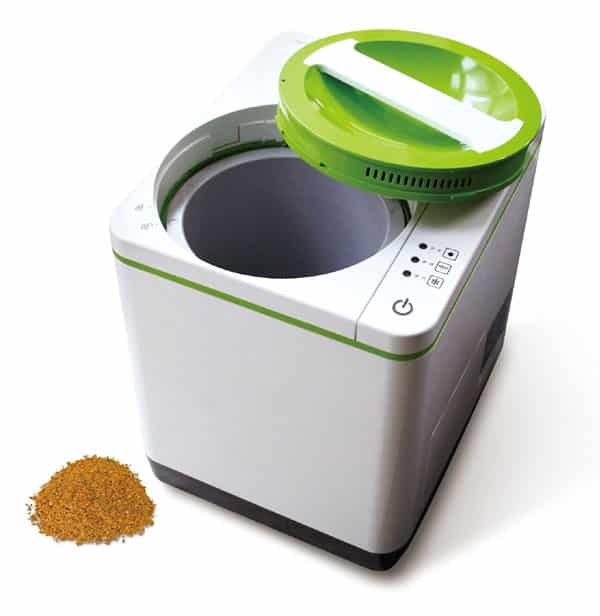 What it actually does is dry and chop the food waste you put in it (there are no microbes or decomposition involved). Please don’t buy one of these. If you really want to dry things, spend half as much money on an top-quality Excalibur dehydrator and make useful things like fruit roll-ups. My suggestion: Get an Excalibur dehydrator for $269.95, or skip all the buying and just let nature make the dang compost. What other compost gadgets have you tried? Were they worth the cost?